A virgin olive oil extracted from both the famous Cretan olive tree variety known as ‘Lianolia’ and from the famously huge and ancient tree variety known as ‘Tsounati’. It is the latter variety which adds sweetness to this oil’s taste, this itself being a by-product of the slightly higher acidity levels of the olives which cannot always be gathered via netting methods due to the tree’s large physical stature. 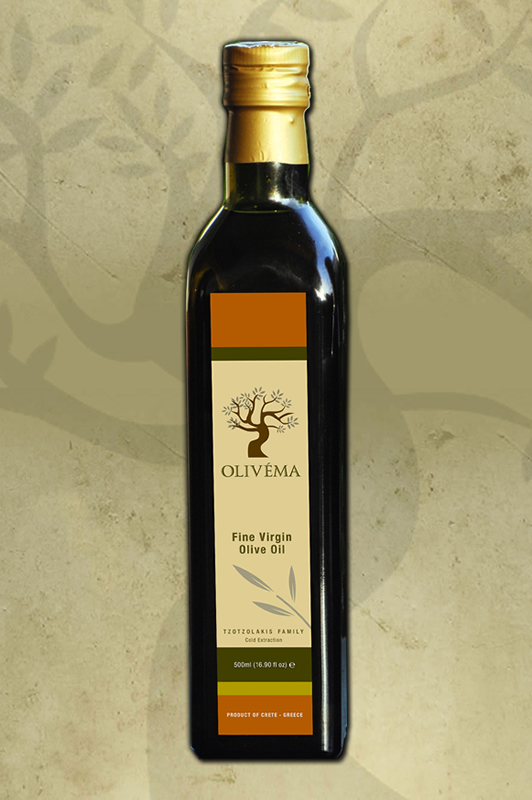 Indeed many of our forefathers preferred this Virgin Olive Oil because it is softer on the taste palette. Both trees grow in abundance around the White Mountain region in the district of Hania, South-Western Crete. All olives are cultivated according to traditional methods and collected from November-December. The olive juice is extracted from the fruit shortly after harvest via cold pressing in the mill and only the juice from the first extraction is used. The resulting product continues to have a low acidity level (between 0.9 and 2%) together with a rich content of polyphenols, the combination of which makes it a high quality yet subtler tasting virgin olive oil. Leafy green in colour, its taste is delicately sweet with both fruity and nutty hints. 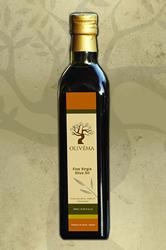 Olivéma Virgin Olive Oil is created using natural and cold press methods only excluding the use of any type of chemical substance. This product is available in either dark ‘maraska’ bottle or metal tin packaging in a variety of sizes. Please contact us directly for all product details and information.